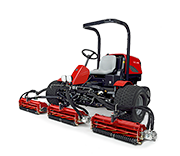 Our range of fairway mowers feature signature Baroness reels and bedknives, renowned for their high quality materials that retain sharpness for longer and maximise turf health. 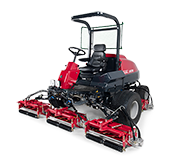 Coupled with this world class technology is a range of mowers that are reliable, efficient, comfortable and continue to stay “on-cut” much longer than competitor products. Operator friendly products combined with the benefits of enhanced budget containment and improved turf condition.